Another round of products finished! Enjoy and don't forget to subscribe. 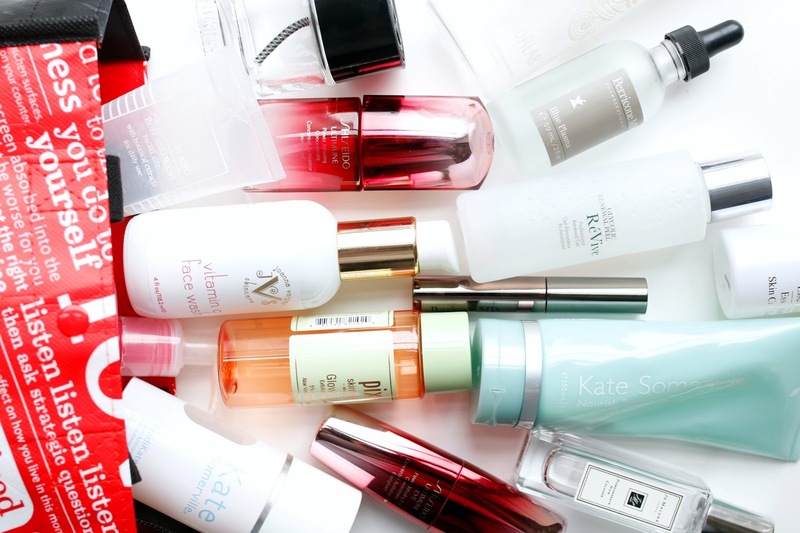 Have you tried adding in an essence to your routine? THe SK-II Facial Treatment Essence is phenomenal. Also, look at adding a fish oil supplement or fatty acid supplement into your diet. Try and treat your skin not just with skincare but from the inside out. Hi Maree, at the very high risk of sounding like an obnoxious human being, I recently made the mistake of watching a documentary on the way home from an international trip and have decided to go "cruelty free". That being said, I'm finishing my Shiseido Ultimune and need a cruelty free alternative to purchase as a replacement and would love your help. My skin type is very similar to yours and I use the Ultimune after acid tone/essence and before my Vitamin C serum/moisturizer in the AM. To fit in that spot, would the Joanna Vargas daily serum work nicely? I've also researched the First Aid Beauty hydrating serum and the Perricone MD Pre-empt perfecting serum. Is there anything you suggest that would be the best replacement for this step? Thanks so much for any opinion you'd share! Love your blog and channel! If I had to pick one out of the three that you mentioned - I would definitely go with Joanna Vargas. I LOVE THAT SERUM! It is one of my all time favorites and think it is a great addition to everyone's routine. It is chock full of vitamins and nutrients and I think you will love it!